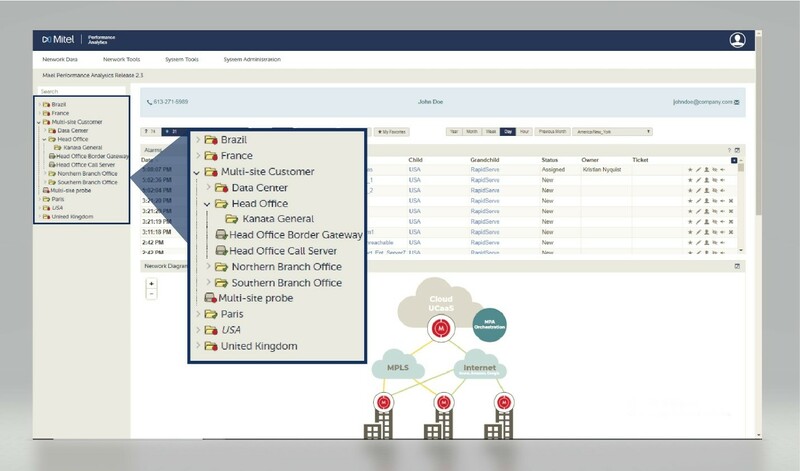 Take a look at the latest resources on Mitel Performance Analytics. With Martello Vantage, network operators can easily, from a single dashboard, support digital transformation by keeping networks and infrastructure running optimally. 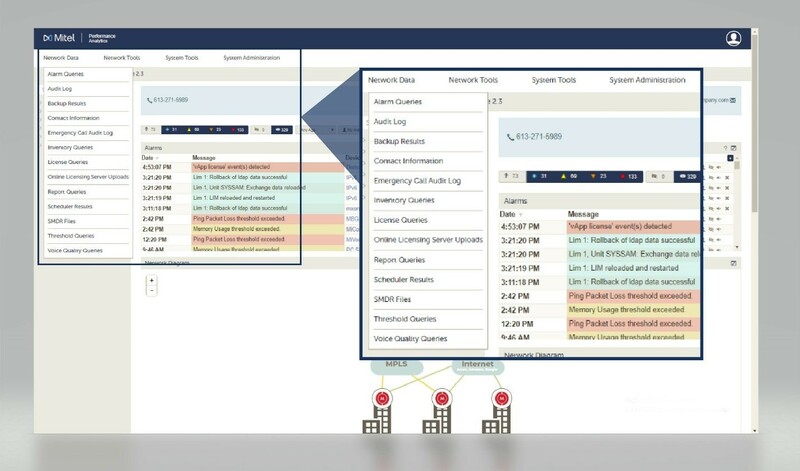 A new Mitel Performance Analytics (MPA) release means a new series for Feature of the Week. In this series, we break down how MPA R2.3 helps you see problems more easily, adapts to your workflow and provides actionable usage and capacity data for smart network decisions. Among the most noticeable changes in this release is the redesign of the primary navigation menu. In the previous MPA release, the top-level menu items were labeled with a wrench, plus sign, gear and user icon, which could make it difficult for users to find the feature they were looking for. It was evident that we could do better for the next release. System Administration – accesses functions to manage objects: current containers or device settings, users, licenses, thresholds, add new container or device, device discovery and configuration. User – provides the user with general information and the ability to control their session. Different menu items are presented depending on the user’s privilege level and the dashboard context. Additionally, the container and device navigation tree display is now enhanced to show container hierarchy more clearly. With the redesign of the primary navigation, it is much easier to access data and tools for a better user experience. For more on the features of MPA, take a look at our MPA 2.3 Primer or the MPA Demo Videos.